Description: NO PAYMENT FOR 1 YEAR! 1 Year, 100% Parts Warranty on Engine and Transmission. 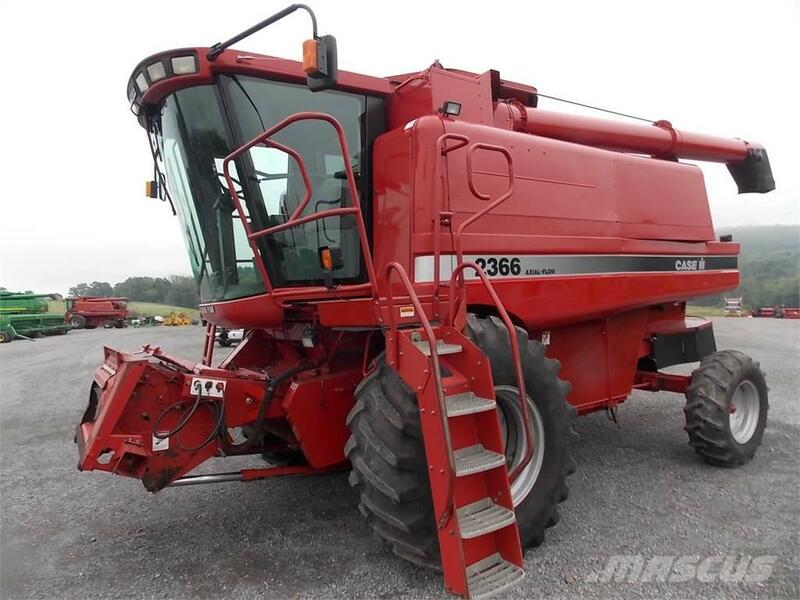 This used Case IH 2366 combine for sale has is in great shape, with all belts and augers is very good condition. 1998 model, this combine has a Chopper, Ag Leader Yield and Moisture monitor system and much more. Make sure to go to the field with confidence in this CIH 2366 combine. Buy with confidence with out 1 Year, 100% Warranty on engine and transmission parts. We have a full selection of combine heads to fit on this Case IH combine for sale. This CIH 2366 would pair up perfectly with a CIH 1063 corn head and a CIH 1020 Grain Head. We have over 15 corn heads and 25 grain heads in stock. No matter what size grain head you are looking for, we have you covered. Give us a call today!